Needlecord is currently my favourite fabric to sew with. I love how smooth it is, and I think it makes a garment look really lovely. It also keeps its shape well, and I found some in gorgeous colours. Basically, a win-win on all accounts! Also, once you actually sew with it, you realise it's really not scary at all! 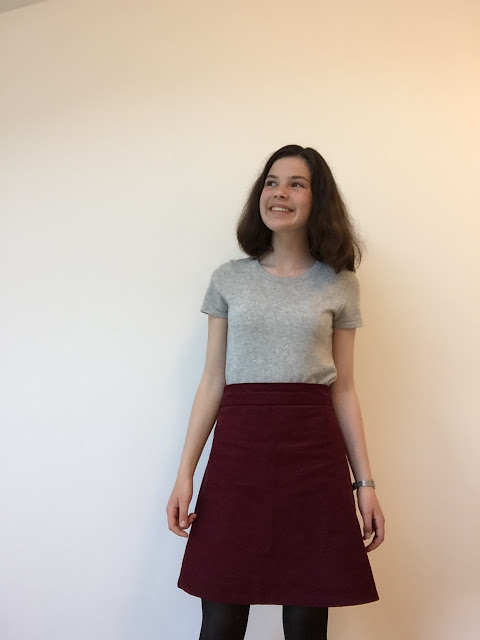 I mentioned here that I had some aubergine needlecord as well as the burnt orange, and I decided to make a Tilly and the Buttons Delphine Skirt with it. As mentioned above, needlecord holds it's shape really well, so it was an ideal fabric to use for an a-line skirt. 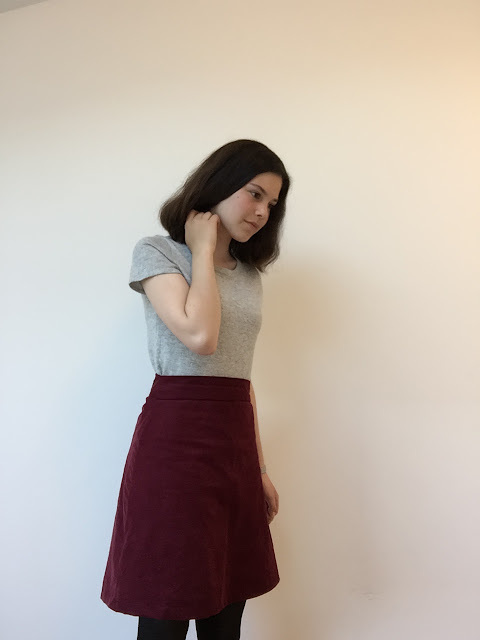 I absolutely love this skirt! It was my first time using the Delphine pattern, although why I waited so long I don't know... I'm dreaming of so many more versions already! The pattern comes in Tilly's book, Love at First Stitch, but the instructions and pattern are just as good as any other. 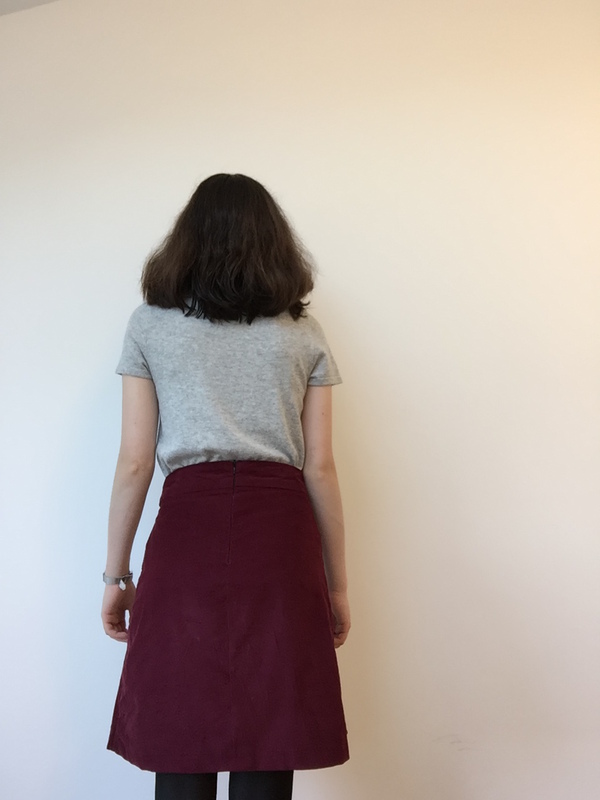 The skirt is a really simple and speedy sew. I would like to add a lining to my next one though, just to make it into a slightly more luxury garment, but it is tempting to not bother and simply finish it quicker! The main thing I'm proud about is the fit of this skirt. I've struggled to fit skirts, but this is the first time that I've really done anything about it - and it was really easy! All I did was sew the seam allowances on the waistband differently, going into a kind of triangle shape so that it was narrower at the top. The skirt closes with an invisible zip, which is one of my favourite types of closures as I like the neat and professional finish of it. I know I say it a lot, but I'm so happy with this make, and I know I'm going to be wearing it lots! This is a great silhouette on you and the needlecord looks lovely.